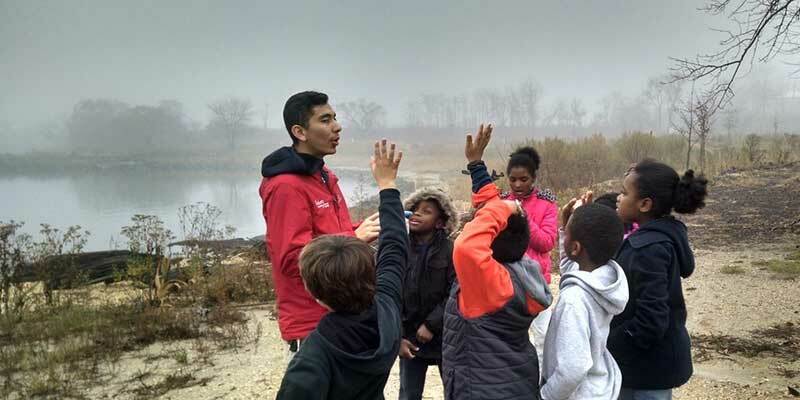 Nationally recognized, the Maryland Green Schools Award Program (MDGS) allows schools and their communities to evaluate their efforts in environmental sustainability. Participating schools empower youth to make changes to reduce environmental impact, encourage sustainability and foster environmental literacy. Maryland Green Schools benefit from the instructional support and partnership of Green Centers and Green Leaders. Green Schools have access to an extensive network of partners in their community and statewide resources. Support Maryland Green Schools by letting your Maryland State Senators and Delegates know how important this program is to our schools and students! MAEOE is pleased to announce that Senate Bill 662 and House Bill 1366 have been introduced for consideration in the 2019 Legislative Session. The proposed legislation will support the Maryland Green Schools program with funding to strengthen the program and a goal of reaching 50% Green Schools in the State by 2025. FOR the purpose of requiring the Governor to include a certain amount in the State budget for certain fiscal years to increase the number of green schools in the State; specifying the purposes for which the funds may be used; requiring that a certain evaluation be conducted in a certain manner, examine certain issues, and be provided to certain persons; and generally relating to green schools. Sponsors for the Senate Bill: Senators Thomas Miller, Nancy King, and Paul Pinsky. Over the last two years, MAEOE has been developing a new structure for the organization: a Board of Directors with responsibility for financial development of the organization and an Advisory Council with programmatic oversight. We have also been looking at ways to provide sustainable funding for our Maryland Green Schools program. These discussions have included legislation that would encourage the growth of the program across the state at a more rapid rate than the current 2-4% growth per annum. In early January, members of the Board of Directors met with President of Senate the Honorable Mike Miller to discuss the possibility of legislation. Senate Bill 662 was introduced to the Senate on February 4, 2019. The Senate hearing took place on February 20, 2019 at 1:00pm before the Senate Budget and Taxation Committee. House Bill 1366 has been filed and the hearing will take place in March (TBA). As far as we know, this bill would be a first of its kind nationally in support of a state-wide green schools program! Below is a draft letter of support for you to use. If you are not sure of your legislative district, then visit this link to the General Assembly of Maryland and then click on the top right link "Who Represents Me?" to enter your address to find out. To see what district your school is located in, there is a link below to a PDF list of Maryland Green Schools separated by Legislative Districts. We hope that you will support this program. There are currently 621 Maryland Green Schools, 27% of all schools in the State. Help us to increase this to 50% by supporting the Maryland Green Schools Act of 2019, Senate Bill 662. Find out more about the Maryland Green School program, the application, and how to get started at this meeting. Schools that are due for recertification can get updates and recent changes as well. Green Centers and centers thinking about applying are welcome! Meetings will be scheduled throughout fall and part of winter. Some locations are around different regions of Maryland and others will be at the MAEOE office. Webinar option is available. Current MAEOE members can sign up for this complimentary session; however, non-members have a fee to attend. Registration is required. Limited space so RSVP early! REGISTRATION CLOSED. Please check in around August for fall 2019 sessions. Day by day, and activity by activity, students and staff have grown in their knowledge and appreciation of the role each of us plays in making the world greener. With each flower planted and water runoff recaptured, each bird feeder built and placed outside, each rain garden and butterfly garden dug and planted, our students have become better stewards of the earth—and, not surprisingly, better students. An introduction to this nationally-recognized Green Schools program and its impact.